Featuring free WiFi, Qawafel Alhejaz offers accommodation in Jeddah. King Fahad Fountain is 2.4 km away. Free private parking is available on site. The accommodation is air conditioned and has a flat-screen TV. 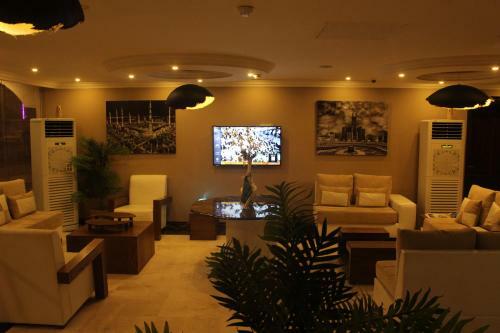 Featuring free WiFi, Qawafel Al Hejaz offers accommodation in Jeddah. King Fahad Fountain is 2.4 km away. Free private parking is available on site.